Apple CEO, Tim Cook, says healthcare is an “enormous” opportunity for Apple. It's led to the Health app, HealthKit, ResearchKit, and, more recently, CareKit. Last week, Apple hired a medical doctor. In the summer, they hired a pharmaceutical executive and an endocrinologist specializing in diabetes. The new iPhone, Apple Watch, and iOS software are more health-focused than ever before, promoting health in a number of different ways. 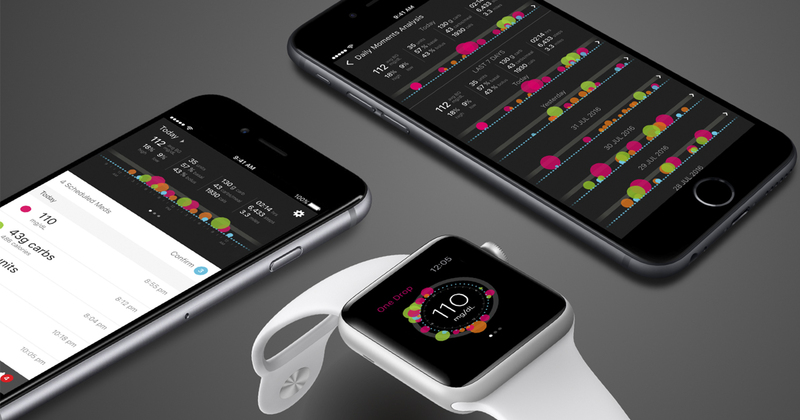 How is Apple helping people prevent and manage diabetes? Apple is using mobile tech to help people sleep better, reduce stress, eat healthier, and be active. All of these things can prevent diabetes, and, if diagnosed, help keep it in check. Sleep is critical for everyone. Both not sleeping enough (less than 7 hours) and sleeping too much (more than 8 hours) can lead to diabetes. People (with or without diabetes) who don't get good shut-eye tend to make unhealthy food choices. Blood glucose is harder to manage, and it takes a toll on physical and mental health. Enter what time you want to wake up and what days you want to wake up at that time. Set goals for how many hours of sleep you want each night, and get a reminder when it's time for sleep, and an alarm when it's time to wake up. See your full sleep history, and keep track of how well you've been doing. With Bedtime, you can finally get your sleep schedule on track, which so many of us struggle to do! Stress and diabetes go hand in hand. Unhealthy responses to stress (e.g. emotional eating, drinking too much, etc.) can wreak havoc on our bodies. When we're stressed, it can be difficult to take good care of ourselves, manage blood glucose levels, eat healthfully and stay on top of our medications. What's the solution? Mindfulness: bringing your attention to the present, while calmly acknowledging and accepting your feelings and thoughts. Studies show mindfulness helps keep blood glucose levels in range. Reminding you to relax, focus, and meditate. Guiding you through a series of deep breaths. Displaying a series of circles that expand and contract as you breathe with the app. Giving taptic feedback during each Breathe session. Displaying completed Breathe sessions and a user's heart rate. When people think about diabetes, they instantly think about food. Food choices have a big impact on diabetes management and development. Healthy eating is key to managing blood glucose and living a long, healthy life. Apple wants to help people keep track of what they eat — whether counting carbs, calories, or fat grams. Through HealthKit, third-party apps like One Drop get data entered into Health or other apps. One Drop users can then keep an even closer eye on how their meals, medications, and activity — combined — affect their blood glucose. Physical activity is good for everyone. For people with diabetes, exercise helps blood glucose levels. Apple Watch Series 2 can help iPhone owners with diabetes who want a fast and durable activity tracker. Like the first Watch, the Series 2 measures steps, calories, distance, heart rate, and logs workouts. The new Watch Series 2 has some additional perks. It has a standalone integrated GPS, a faster processor, and is water-resistant. It's designed for more types of activities and wearers. It's for people who want all of their activity tracked on land or in water, and without their iPhone nearby. WatchOS 3 also stops tracking activity when you stop walking or running, say at a stop light. It resumes once you start moving again. This improves the accuracy of the activity being tracked. WatchOS 3's Activity app is also easier to use during workouts. Pressing the side button and digital crown at the same time now pauses a workout. This makes it easier to take breaks and start up again without logging rest time by accident. There's also a new watch face that shows Activity rings, and you can easily share your activity with others. The idea is to provide shared incentives, get support, and exercise more with friends and family. As Dr. Mayberry and I have shown, this kind of support helps people with diabetes eat better and be more active. I got the iPhone 7 on the day it was released. My husband got the iPhone 7 Plus and the Apple Watch Series 2. He immediately shared his Activity rings with me. I'm now reminded, daily, of his perfect 3-ring activity streak. I'm helping him continue that streak even though I haven't become more active. I have, however, started to sleep more and be less stressed. Any way you slice it, doing one or all of the above results in a healthier and and happier life. Everybody wins.